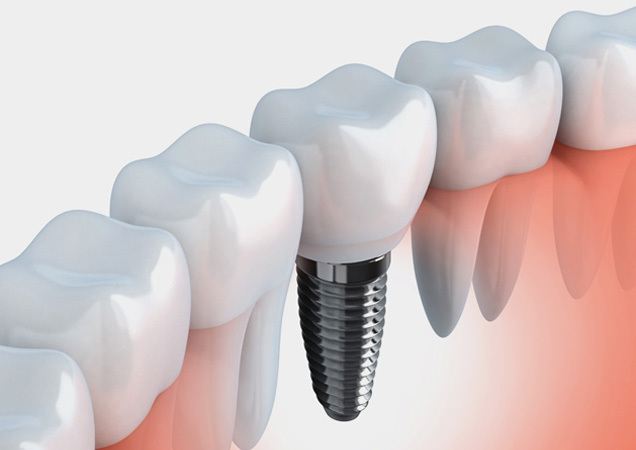 It might be stating the obvious but most patients having a dental implant have never had one before. They are probably familiar with most procedures encountered at the dentist but placement of an implant can be a little bit different. Fear of the unknown can lead to patients simply accepting tooth loss or taking an inappropriate treatment decision which might further jeopardise their dentition. In our experience implant therapy can be one of the most benign and comfortable experiences a patient can have at the dentist. From the outset the treatment is mapped out using digital planning software. We can see a three dimensional view of the jaw bone and combine this with an optical real life scan of teeth and gums. This makes the minor surgery precise and safe. We often employ key hole techniques which encourage healing with virtually no post- operative pain. In many cases sutures are not required. Local anaesthetic is required but because the treatment is far less traumatic than an extraction the numb feeling is confined to soft tissues so patients can return to normal life and function within about an hour. Generally there is now more confidence in immediate restoration with same day teeth becoming a preferred option for many. The days of “gloop and gag” impressions are coming to an end so once again the patient experience is much improved. We have known patients avoid treatment simply because of difficulty they have with impressions. The accuracy of scanning is far superior to impression taking and allows us to construct life like restorations that function like natural teeth. Once we have captured the scan data it can also be used for cosmetic treatments like invisible orthodontics. Treatment simulation can show us the outcome prior to starting any case in earnest. These new strategies are open to patients who are facing imminent tooth loss and are looking at a transition without compromising function or aesthetics. Similarly patients who have lost teeth and struggled with dentures can access implant therapy which can be life changing. Even where bone conditions are challenging synthetic grafting materials can encourage the patient’s own bone to regrow. Dentistry and implant therapy in particular are entering a new age where digital planning, design and treatment are expanding the opportunity for patients to receive high quality solutions with minimally invasive techniques. For further information or advise please feel free to contact info@themayhill.co.uk or call 01600 712020.